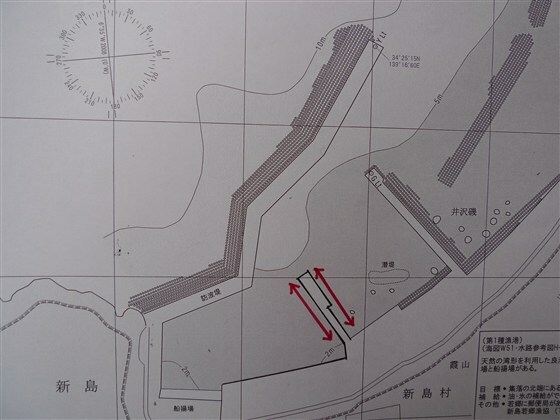 You may have whole view of Wakago Port at 34 25.220N　139 16.700E. Passing by a red lighthouse on your right, you move into the port. A local fisherman suggested me that you may moor at the jetty on your left in the innermost boat pool. 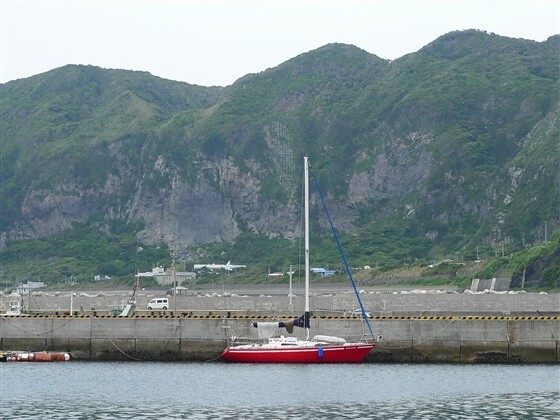 A Japanese sail magazine introduced mooring at the jetty on your right just after rounding the red lighthouse. But, as it faces to outside, it will be a rolling berth on non-quiet days. A fisherman allowed me to use a water tap with a long hose at the end of the warehouse in front of me. The nearest 24-hour-open Japanese style toilet is at the end of Gyokyo , Fisheries Cooperative Association, building. There is a western style toilet at the end of Wakago Maehama Beach, which is far from the berth. To enjoy Onsen (Spa), you have to take a bus to Nii-jima Port area. 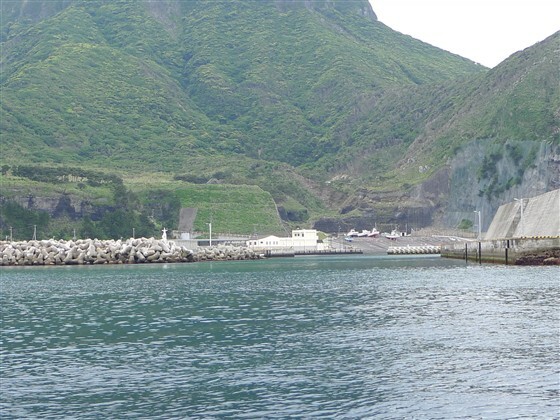 Three Onsen bathhouses are shown on my page of Nii-jima Port. There are two small shops which deal in vegetables and meat for your provisioning. There is no restaurant or no coin laundry.